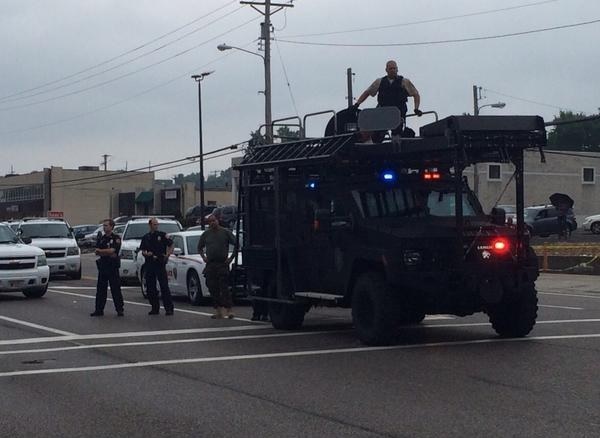 Police officers respond to Ferguson rioting in August. Parents in Florissant, Missouri, north of Ferguson, reported that their kids were sent home with extra homework this weekend. There may not be school on Monday. Police chief Jon Belmar said “Bob is going to let me know immediately” when grand jury reaches a decision. There are also reports that the local schools will receive an advance notice of the grand jury decision. There were local reports today that teachers were told to bring extra food and clothing to school in case students were stranded during the rioting-protests.